We all know the basics of day and night, with the sun rising in the east and setting in the west, but I've never been one for following convention. So when I went on my bookshop crawl for Independent Booksellers Week I started in the west before settling in the east. And despite it being an hour before closing time at the end of a long day of running around, it was in my final destination, Brick Lane Bookshop, that I found the most colour, energy and vibrancy. I was new to Brick Lane, so while I'd previously heard the area was worth visiting I hadn't known what to expect, indeed, I'd not really given it much thought at all as I turned the corner and began counting off buildings. Starting at one, I could've been on any London street, but moving up the numbers the colours began to build up, then the noise - welcoming music and chatter - and finally the people, enough to make a crowd without feeling crowded. With every step the atmosphere, and my excitement with it, began to build. Eventually reaching 166 - I confess I'd begun to wonder if I'd walked too far - the joyful atmosphere continued inside. Where earlier in the day I'd met simple beauty, here I found a cacophony of colour, and beauty of a different kind. 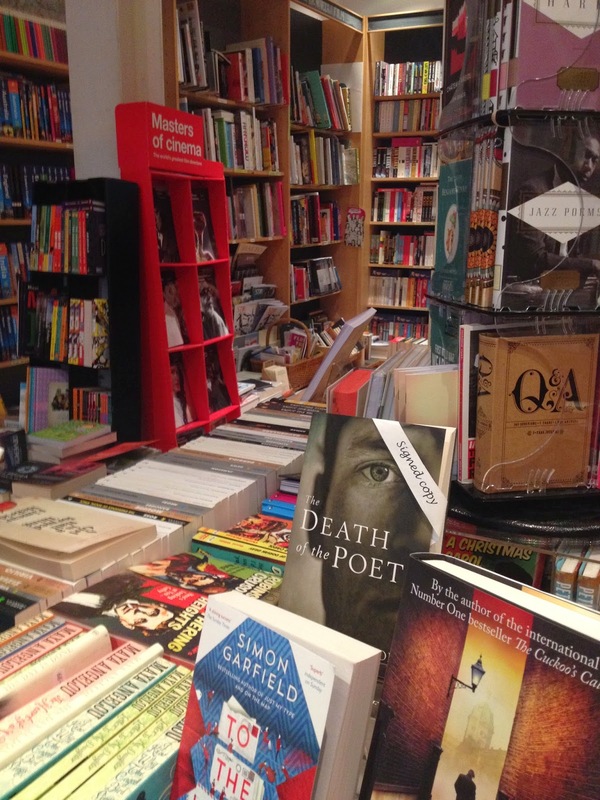 The recommendations tables seemed more of a rainbow than usual, and the other browsers ensured a buzz filled the bookshop, meaning that close to 6pm on a Saturday the room felt like the ideal place to build up some enthusiasm for a night out. Tired after my day of bookshop crawling, I instead opted for an evening with a book - picking up Mikhail Bulgakov's The Master and Margarita for a mere £4. 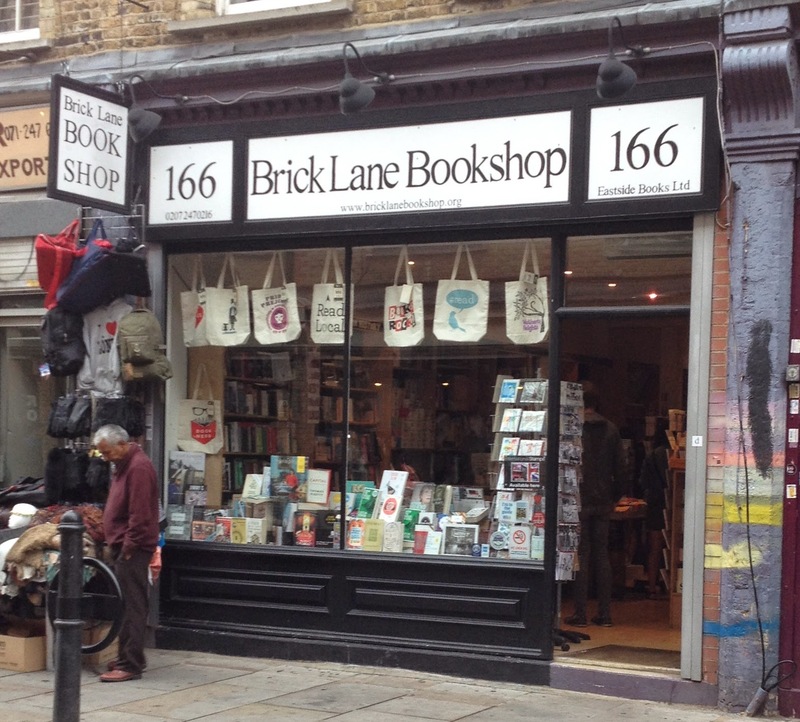 With a significant amount of the stock appearing to be around the half price mark, a visit to Brick Lane Bookshop means you'll have plenty of money left for the party (or to buy more books). Leaving the bookshop behind I made my way back down the lane towards home. The colourful atmosphere gently fading with each step I took, but this time I had a book to keep me company when the crowds died down.